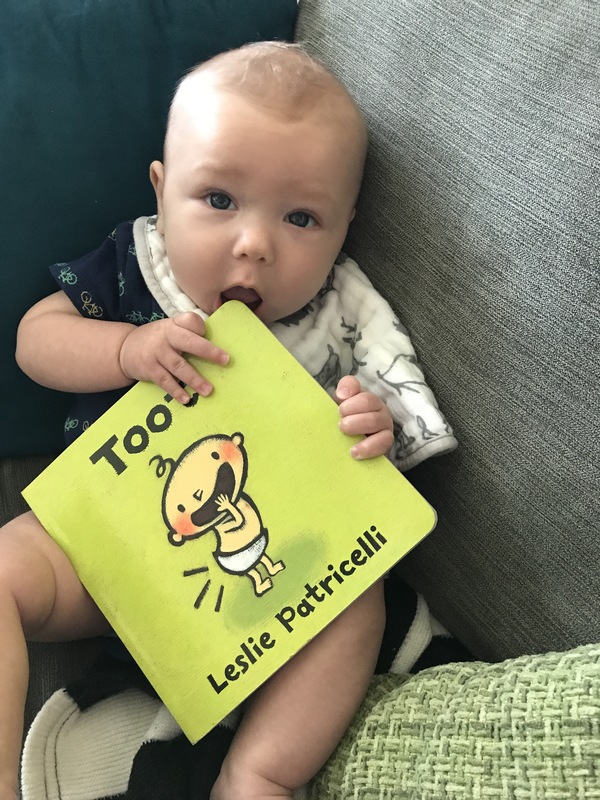 Now that our little bear is becoming more active and interested in everything, we’ve been ramping up our idea inventory for things to do to keep him entertained! 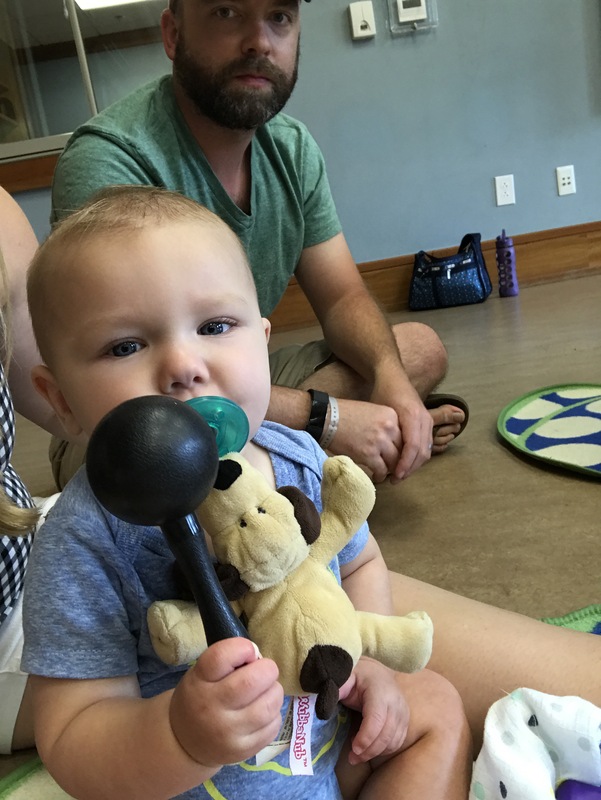 Jammin’ Baby: we started our session this week and it was so fun to see how the kids reacted to the music! Liam thought the instruments were all delicious. But seriously, we are looking forward to our weekly classes and introducing Liam to all the music! 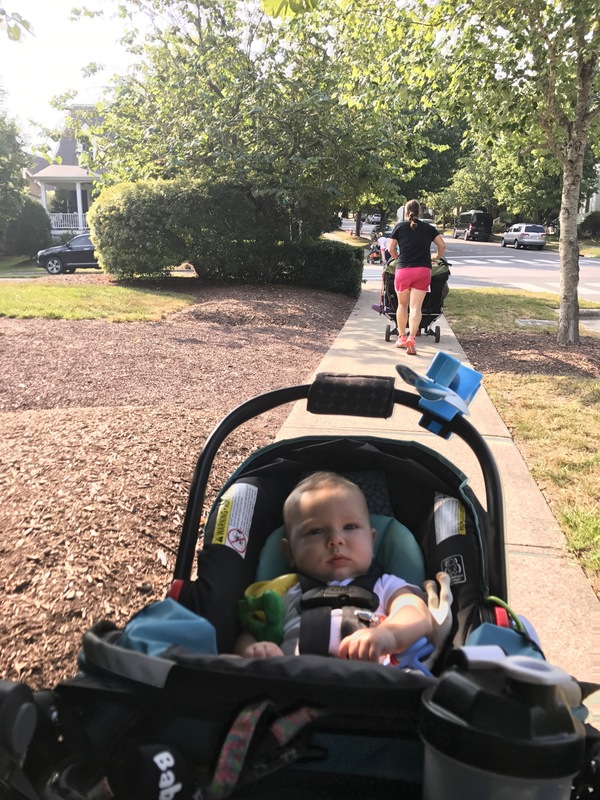 Stroller Strides: okay, this one is really more for me at this stage (it will be more fun for him when he understands what we’re singing and can make a game out of it) BUT it’s an hour that we get to spend together and Liam gets to see his mama working out and being healthy. And right now he doesn’t care how slow I run up the hills in Southern Village! We love Fit4Mom and love that they let us work out together! 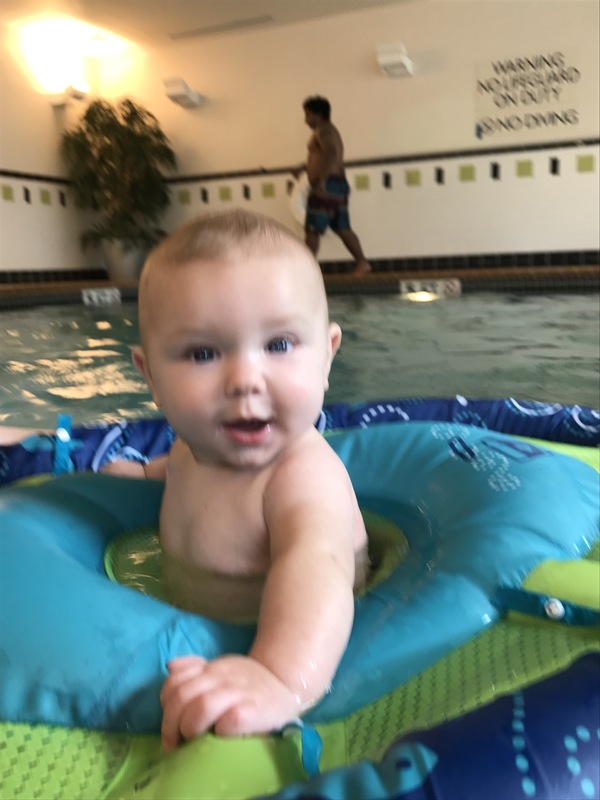 Swim lessons: We are hoping to get into swim lessons at the YMCA starting in the fall. 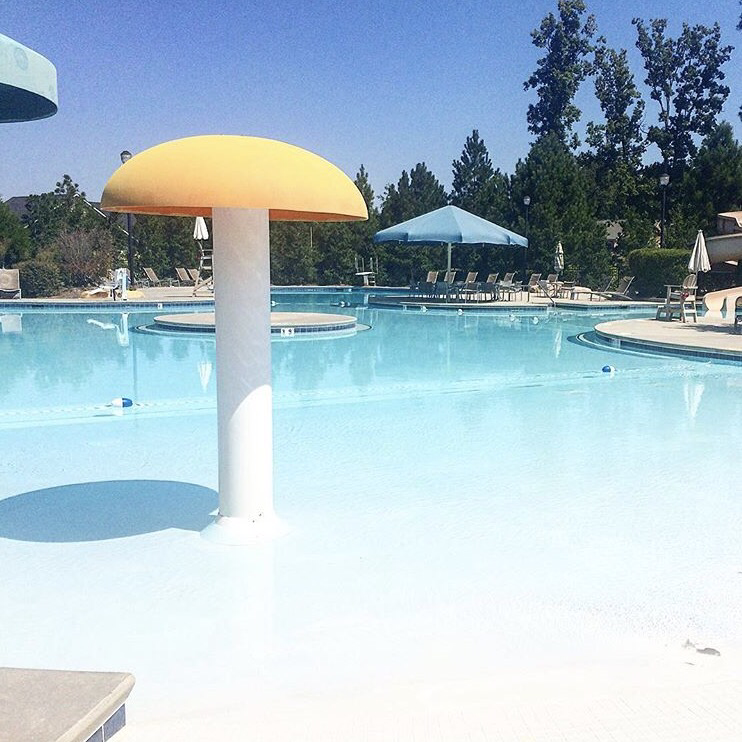 We want Liam to be used to the water and comfortable (but will not be doing any kind of survival swim lessons! To each their own but my mama heart can’t take tossing him under water). He already seems to like it so it will only get more fun! Museum of Life and Science: this picture is actually from the Fort fisher Aquarium but goes along with the MLS theme. I haven’t actually been yet but I’ve heard it’s an awesome museum and Landon has fond memories of it. Right now it would definitely be more for us but in 6 months or so he’ll start to enjoy it and be able to play. Definitely adding a membership here to Liam’s Christmas list! Flower Gardens: Liam loves flowers (and gets it honestly!). He smiled and cooed forever at Lowes one day while looking at flowers, so the gardens in our area are a perfect place for him. 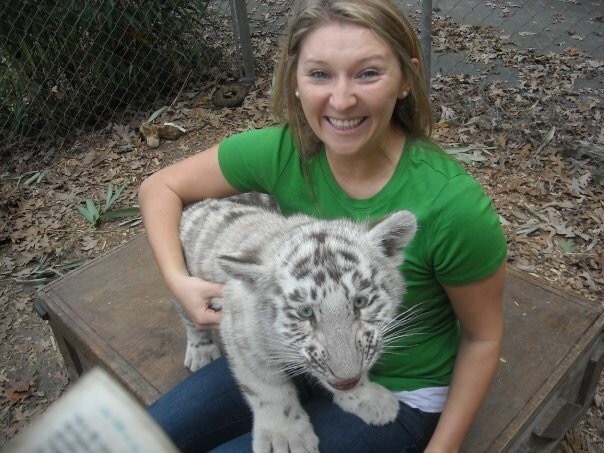 Fearrington is clearly the easiest (and they have animals to look at, too!) 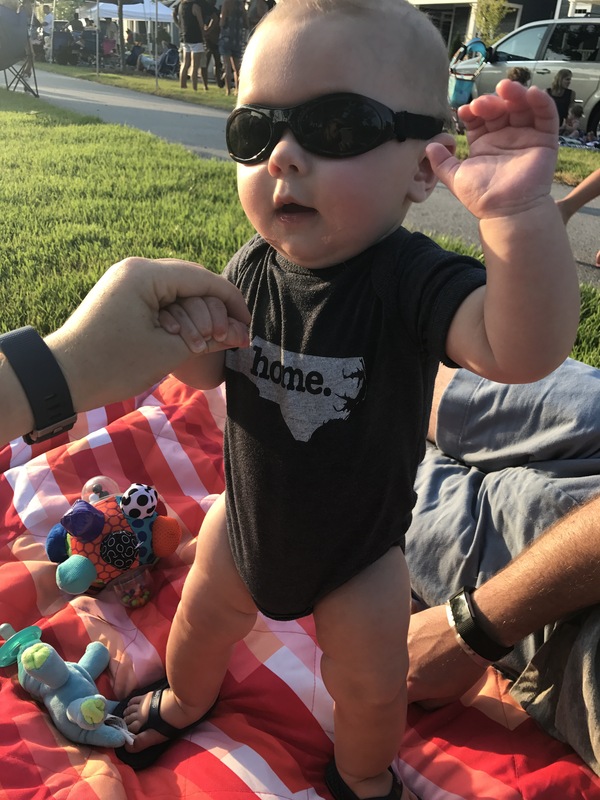 but we also have the NC Botanical Gardens and Duke Gardens nearby! 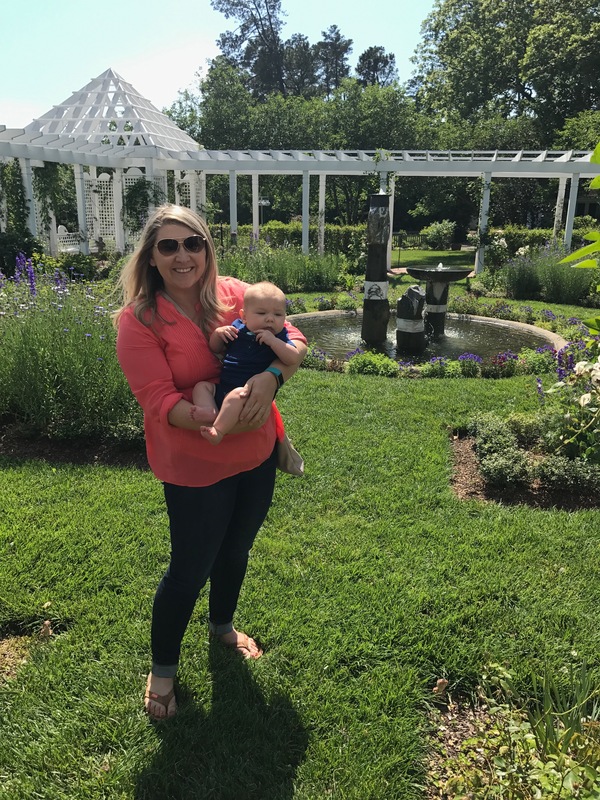 Zoo, Tiger Rescue and Lemur Center: once we load Landon up on Benadryl, I’d love to take Liam to the Tiger Rescue and lemur center and already planning on a million zoo trips for us. 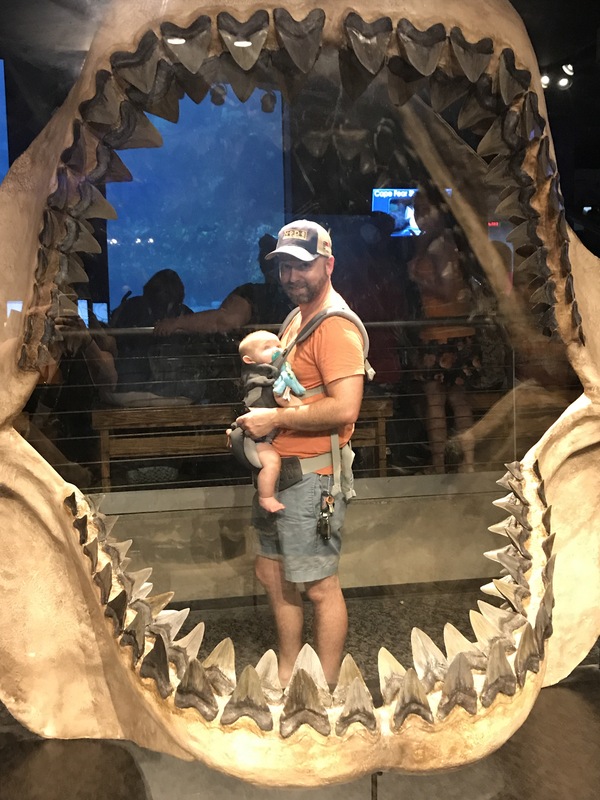 Also, he should probably be a little older to actually enjoy these activities but I want to ensure that he obsessively loves animals as much as I do (haha). One day we’ll start fostering dogs again since he clearly already loves them so much. Fair: I remember going to the fair as a kid and absolutely loving it. As a parent, I can’t believe I ever rode fair rides that went upside down but I survived so I guess they were safe?? Anyway, Liam will certainly enjoy the carousel, colorful lights and watching his daddy try to win the biggest stuffed animal.